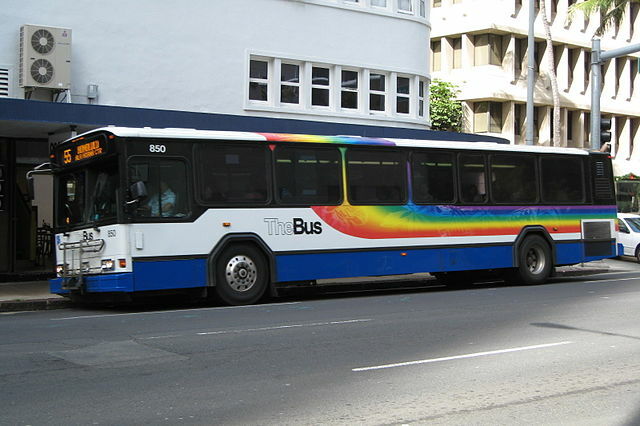 Hawaii is one of the states that has spent the most federal funding on transit projects. Photo via Wikipedia. The Tri-State Transportation Campaign, a transit-oriented nonprofit that advocates for increased mobility in the states of New Jersey, New York and Connecticut, released a report, “Tracking State Transportation Dollars,” detailing federal spending on transportation projects. The report and its interactive map detail proportional spending on transportation, finding that Hawaii and New York have spent the most on transit—nearly $20 billion combined. Nebraska and Mississippi, the states that spent the least on transit, invested a total of $108.5-million. The U.S. Conference of Mayors released its U.S. Metro Economies report, “Outlook-Gross Metropolitan Product, and Critical Role of Transportation Infrastructure,” detailing GDP growth by metropolitan regions. The report shows that several America urban economies produce more GDP than entire countries. For example, the D.C. metro area’s economy is about the size of South Africa’s. However, the report notes, U.S. infrastructure growth is not large enough to sustain economic gains across other sectors. The University of Michigan Transportation Research Institute found that young people, over the past two decades, have consistently reduced their rates of driving, as indicated by declining rate of driver’s licenses issued among 16- to 24-year-olds. The subgroup with the sharpest decline in driving rates were among slightly older young people, aged 20 to 24, indicating a 10.9 percent dip in issued licenses since 1983. By contrast, 16- to 24-year-old drivers in the United Kingdom, combined with cyclists, are increasing traffic-related mortality rates in the the U.K. for the first time since 2003, according to a new House of Commons report. Though these findings are not without tragedy, the U.K. also has one of the lowest rates of traffic fatalities in the European Union, with Sweden being the member-state with the lowest traffic-induced mortality rate over the last decade. Tags: Hawaii, infrastructure investment, New York, Research Recap, road safety, South Africa, United Kingdom, United States, Washington, D.C.